There are innumerable reasons why starting a new year off with Scripture is the best decision you’ll make all year. It helps set the tone for the 12 months ahead, helps prioritize God’s Word in our busy lives, and helps to have enduring truths at the forefront of our brains when we make daily decisions and interact with others. But not everyone who starts in Genesis will finish in Revelation by the end of the year. Which is why picking up engaging Bible studies—whether on your own or in a small group—all year long will keep you diligent in your daily Bible reading and focused on Jesus every single day. Every woman has an ache in her soul that keeps her up at night and a prayer she keeps repeating. In this 6-session study, you’ll trade feelings of emptiness and depletion for the personal fulfillment of knowing who Jesus is as you explore the seven I AM statements of Jesus found in the Gospel of John. Through the Letter of 2 Corinthians, you’ll explore the anchoring truths of opening wide your heart in the midst of hurtful relationships and what it means to embrace the lost and lonely as ministers of the new covenant. And above all, you’ll learn to celebrate the new life as a believer because the old has gone and the new has come. This Bible study will have you hit the ground running in 2017. Learn to guard what God has entrusted to you, further His kingdom by sharing Christ with others, and mentor future generations of women just as Paul discipled Timothy. This is for you if you want to increase your effectiveness as a Christian and continue in ministry despite hardships. If you have trouble committing to resolutions, this might be the study for you. All women eventually face the temptation to give up, but something transformative happens when a woman decides to persevere in the face of difficulty and pain. Walk through the Book of Ruth, looking to the Moabite woman for five practical habits that kept her from quitting and kept her eyes focused on God. Whether you’re a seasoned Bible reader or struggle to keep up with studying Scripture, this 7-session study will leave you with a greater appreciation for the Word of God, a deeper understanding of its authority, and a stronger desire to know the Bible inside and out. Because that thirst can only be quenched by God’s Word. What are you studying in the new year? 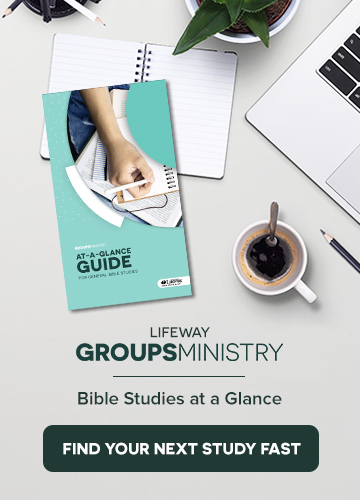 To see all the Bible studies that LifeWay offers for women, visit lifeway.com/women. For me, it was all about overwhelming expectations that I put on myself, which caused a fear of engaging in ministry and wound up morphing into deep discontentment that crippled me and hurt my husband’s ministry. I never could have imagined, just a handful of years later, finding such joy and fulfillment serving alongside my husband. Here are three tips I would give to those who feel called to be group leaders, but who find themselves with less than supportive spouses. This is huge. Having differing opinions on your role in the small group leadership or ministry team will cause problems in your group and can lead to struggles in your marriage. Before you commit to leading, sit down and clarify what your expectations are and ask your wife what she wants to contribute to the group (if anything). Maybe leading the group will look like you leading discussion time and your spouse being the emailer/caller/communication guru. Maybe it looks like sharing all the responsibilities. Maybe one of you takes ice breaker question prep and the other one handles the chips and salsa. Try to agree on what that will look like from the get-go to avoid conflict down the road. Because I had ministry baggage from the past, my husband and I were intentional about laying out the expectations of my role when he felt led to lead our current small group. My expectations were zilch. I’d just had a baby, and I didn’t want to be responsible for anything other than making sure my babies were mostly kempt. So, he led the group with another man from our church at the other man’s house, and I came along for the ride with my daughters who were both in clean clothes and had their hair usually brushed. Or at least one of those things. Do you know what happened after my husband led our current small group for some time? I started taking on some responsibility and ownership. I began coordinating the babysitters each week because I wanted to relieve one of the other members of the group. I brought ice cream and flowers to one of our members who had suffered a death in the family…because I love her. No one pushed anything on me. I did it because I wanted to. If you want your wife to grow spiritually and engage with other members of the group, give her the freedom to do so by letting it come from her heart, not from yours. Although groups can sometimes feel like an obligation to a weary heart, the whole point of a small group is to do life alongside other believers. Look to the Bible and follow the example of the early church. Pray that your wife will be loved and encouraged by members of the group, spurring her on to love and encourage them. Model the gospel in your group and love your wife well. Someone who has been well loved will love well. If your spouse really doesn’t want you to lead a group, you probably shouldn’t. Nothing can kill community quite as quickly as disunity in the leading couple. Involving your wife in the decision is so important. I’m an over-communicator. My husband doesn’t have to guess what’s on my mind. I used to think that was a good thing. But, as I’ve matured, I’ve learned that how you communicate can be even more important than how often you communicate. I’ve been both a small group leader and a small group goer. I’ve been a non-mom grouper and am now a mom grouper. So if you’re a small group leader who is not a mom, or if kids are creatures that make you uncomfortable, I get it. But here’s the thing. If you hold the title of small group leader, unless you’re leading a student group or a men’s group, chances are your group will contain moms. Moms have a unique set of needs. They function not just as small group members but as small group members with entourages that are very much part of every part of their lives. Before I had kids, I avoided kids. They made me nervous. I didn’t know what to say to them, and I’d always guess that they were five to ten years older or younger than they actually were. That was me. But now I’m a mom, so I can tell you, whether or not you are a kid person, how you interact with (or don’t interact with) my kids is of extreme importance to me. I, a former non-kid person, have an extra measure of grace when non-kid people ignore my children, but I’d be lying if I said that how someone treats my kid doesn’t directly affect how I feel about that person. As a small group leader, try to give some attention to the kids in your group. Don’t make fun of them or use sarcasm (kids are very literal). Ask them what they’re into. When people pay attention to my daughters, or comment about them being cute on Facebook, or ask them what they got for their birthdays, it gives me major love surges for those people. Moms in your group will be much more likely to follow you as a leader (and stay in your group) if you love their kids well. Apply this to your small group, and also maybe to all of life. Parenting is an extremely important thing, so understandably, most moms are extremely serious about the way they do it. If you ever want to see an actual mommy melee, just casually ask how everyone feels about co-sleeping, toddler sugar quotas, or nursing in public. Someone will definitely end up in the hospital. Your job as a small group leader isn’t to convince Mommy Smith that it’s about time her toddler kicks his pacifier habit. Your job is to pray that the gospel will grow and shape each mom, dad, and non-parent in your group into the likeness of Jesus more each day. Co-sleeping and bottle feeding are not top-tier issues, so just respect each individual’s parenting style and don’t dole out advice about screen time or sugar consumption unless you are asked. Moms are in small groups for the same reason everyone else in your group is there. They want to live in obedience by doing life with other believers. They want to grow in their knowledge of Scripture and be part of a Christ-centered community. But there’s another reason moms are in small groups. Moms want their kids to see the gospel lived out and advanced, too. As a mom, I’m always requesting/looking for/hoping my group will be involved in kid-friendly service projects. When I’m in a group brainstorming ways to serve the city, I’m always thinking, What kind of environment could I bring my kids into, where they will be able to serve and see Jesus with me? School renovation projects where you go help teachers fix up their classrooms and retirement homes are great places to bring kids. As a leader, factor the moms into your service plans. If your group wants to minister in an environment where a mom in your group doesn’t want to bring her kids, be proactive in thinking of ways she can be involved even if she’s not there. Maybe she and her kids could prepare the food or write letters. Moms will appreciate options like this, as every mom will have a different idea about where she wants her kids to be/not be. Be mindful of a mom’s unique perspective, and she will love you forever. Scarlet Hiltibidal is a writer living in Nashville, Tennessee. Scarlet has a degree in biblical counseling and worked as a Christian schoolteacher before she started writing. She has written for and managed various online publications. 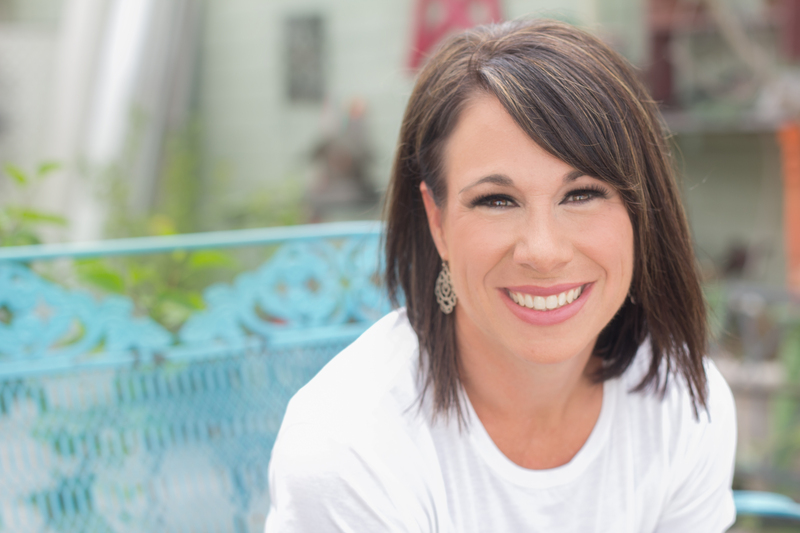 Currently, she writes children’s small group curriculum and articles on motherhood for Smart Mom. Scarlet is wife to Brandon, who is part of the Groups Ministry Team at LifeWay, and Mommy to her daughters, Ever Grace and Brooklyn Hope. Visit her blog at scarlethiltibidal.com and follow her on Twitter @ScarletEH.